Noshu | All natural sugar free, gluten free, low carb products. We are an Australian-owned company committed to developing revolutionary natural products that enhance your life in a positively delicious and healthy way. We take all the bad stuff out, and put good stuff back in, making Noshu products as decadent, delicious and satisfying as they are nutritious. “All Love. No Sugar” is our philosophy, because we believe that healthy food should not taste like cardboard, and that those with intolerances, allergies or even diabetes should also be able to enjoy decadent treats without compromising their health. Noshu is 100% committed to being sugar free. No added sugars are used in our products. That means no refined sugar, no syrups, agave, honey, fructose, fruit concentrates or chemical/artificial sweeteners. We make our products sweet and delicious using only totally natural, zero GI sugar substitutes which do not raise insulin levels or blood sugar, do not cause digestive upsets and are suitable for everyone from kids to diabetics and the carb-conscious. The small amounts of sugars in Noshu products are naturally occurring in the ingredients. 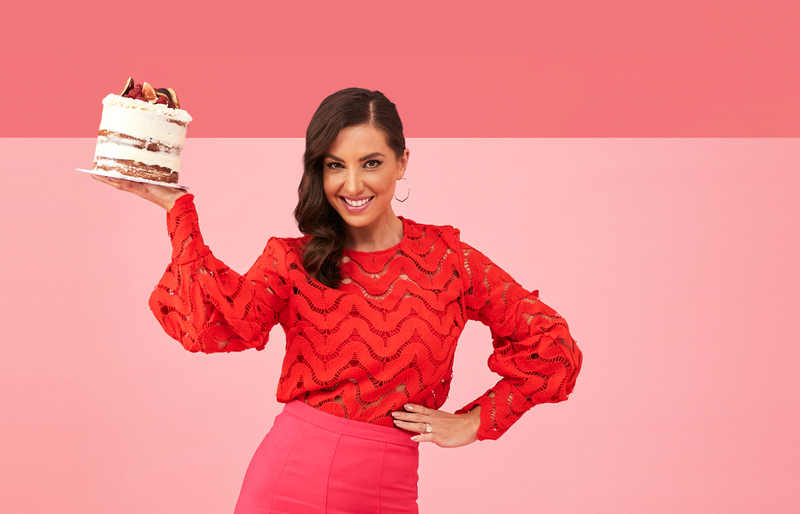 In 2013, Australian-born entrepreneur Rachel Bajada was inspired to create Noshu after struggling to find alternative sweet treats without sugar and chemical sweeteners for her family members with Type 2 diabetes and inflammatory conditions. After traveling abroad and meeting her extended relatives, Rachel was shocked to find that they too were developing adult onset type 2 diabetes, (and that her sweet tooth and love of good food were also strong family traits). Rachel had always made an effort to maintain a healthy lifestyle by following all the conventional guidelines of ‘healthy’ eating – that meant foods rich in complex carbohydrates, low in fat, with lots of fruit and moderate amounts of protein. Despite her efforts, Rachel found she was actually insulin resistant at age 30. She then set out to find answers by extensively researching the connection between sugar and modern illness. Determined to control the future of her own health and that of her family, she found that the key to preventing the onset of these conditions actually meant avoiding added sugar in all its forms. Surprised by the limited range of available food products made without chemical sweeteners, gluten, additives, and ‘sugars in disguise’ such as agave, honey, glucose, dried fruits and rice malt, Rachel decided to create alternatives and completely avoid synthetic sweeteners – and subsequently found that her health issues, including insulin resistance disappeared. With a food science background, an inquisitive respect for nature and a natural talent for baking, Rachel began developing deliciously decadent foods without sugar or chemical sweeteners. Now a commercial reality, Noshu offers a much-needed alternative for people seeking gluten and/or sugar free foods, or those simply looking for healthier options. 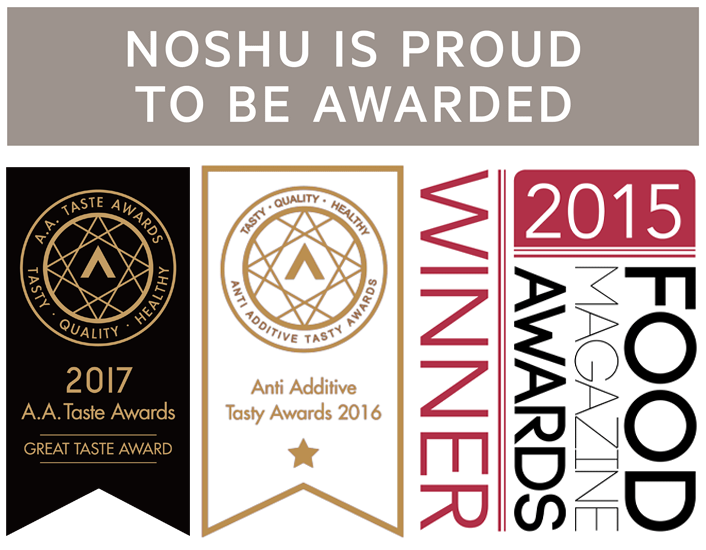 Noshu products will always deliver on our promise of no added sugars, preservative free, no artificial colours or flavours, fibre enriched and free from common allergens, so you can treat yourself with the assurance that our alternative foods are as close to nature as possible, and most importantly – being totally delicious. Noshu is Australia’s first truly sugar-free food brand committed to developing revolutionary products that enhance your life in a positively delicious and nutritious way. Our nutritional, ethical and environmental policy drives our brand vision and keeps us aligned to our core values. “All Love. No Sugar” is our philosophy, because we believe that healthy food should not taste like cardboard, and that those with intolerances, allergies or even diabetes should be able to enjoy decadent treats without compromising their health. When we say “No sugar” – we really mean it. This means that no ‘added’ sugars including those often labelled as ‘unrefined’ such as agave, coconut nectar, honey, rice malt, maple syrup and juice concentrates are ever used in our products. Some of them may be fructose free or lower GI, but they are all just different forms of sugar. Most importantly, we will never use chemical/artificial sweeteners such as sucralose or aspartame in our range. Discover what makes us different, what makes us passionate about what we do, and what Noshu means to us – and you. Click each section below to find out more. Naturally sweetened with natural, plant-derived sugar substitutes and no chemicals. 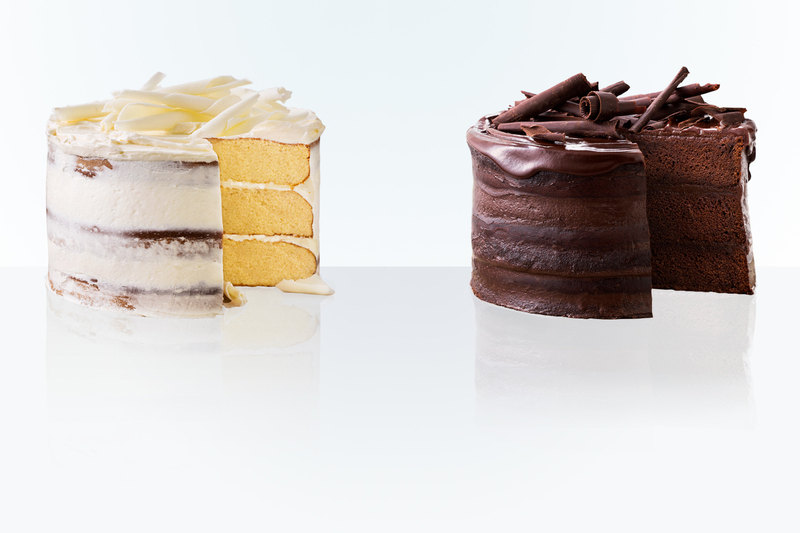 We’ve worked hard to make our products taste so good that you won’t know the difference. Our range is also fructose friendly and contains less than 0.3 % total fructose. Whether you’re a coeliac, or just feel better without it, Noshu’s products are made gluten free where possible. 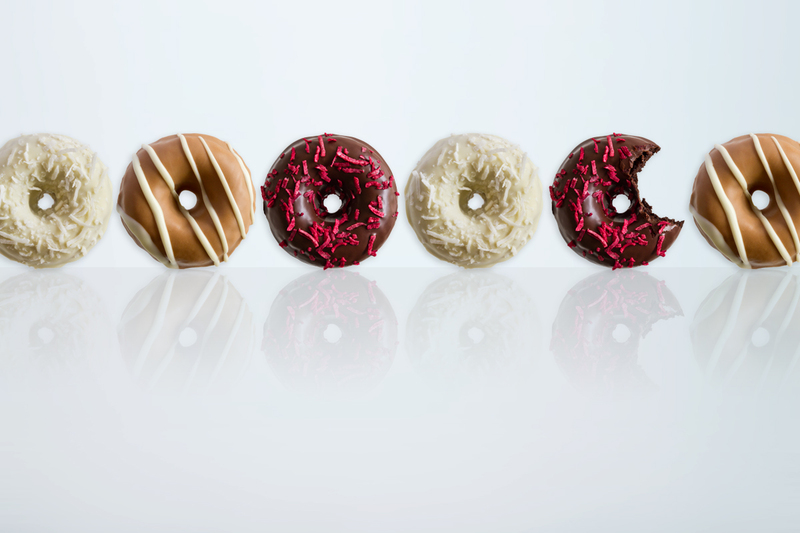 Our donuts are grain free and made with no added dairy. We also don’t use nuts so we are lunch-box friendly. We choose to use only virgin organic coconut oil and monounsaturated sunflower oil as our source of added fats. Coconut oil is a rich source of medium chain triglycerides which are quickly metabolised and used as a non glucose form of energy, and may help increase satiety. 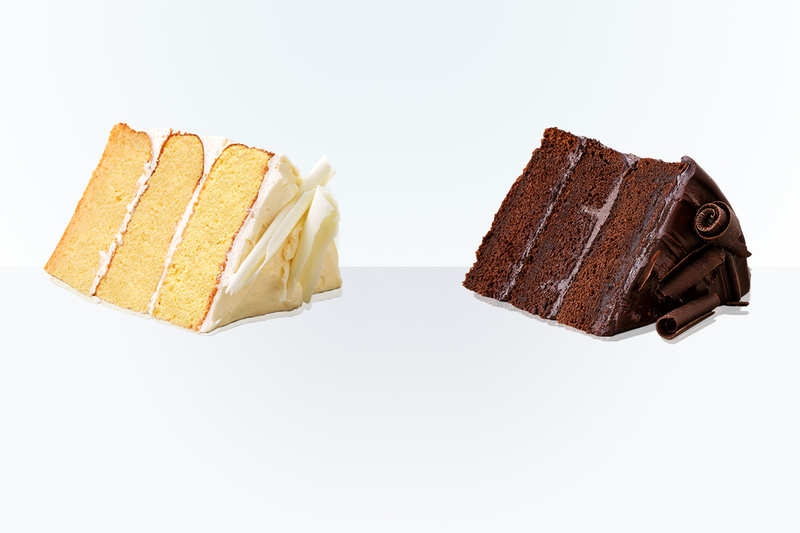 We don’t use any artificial sweeteners, colours, flavours, nasty additives or preservatives. Nature does a really good job so we decided not to mess with it. Plus, real flavours and whole food ingredients taste better too. Read here about Artificial Vs Natural Sweeteners. Our ingredients are sourced from sustainable 3rd parties and organic suppliers where relevant. Noshu uses natural fats such as coconut and RSPO certified sustainable palm kernel oil – rich in monounsaturated fats and trans-fat free. We have a strictly ‘Non-GMO’ supply chain policy and we’re proudly Australian made and owned. 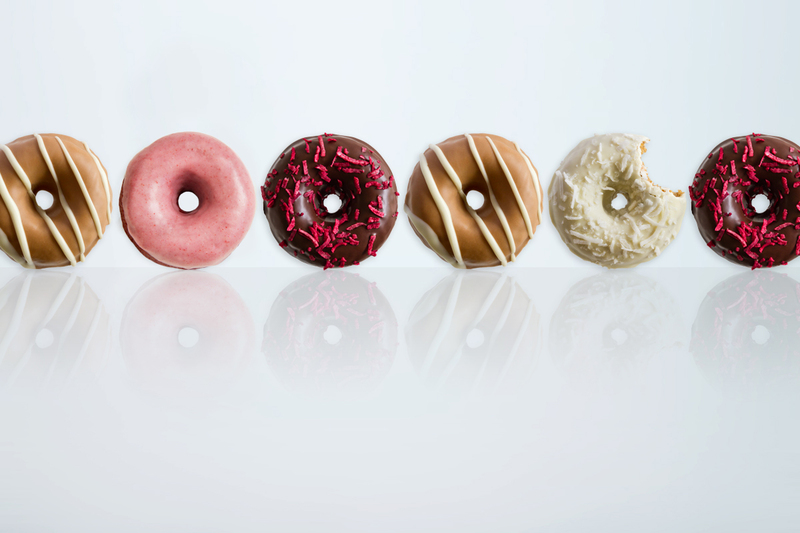 Sugar comes in many forms, and heavily refined starches can have similar effects in our body. Our products range from very low carb to reduced carb and are always high in dietary fibre with a good ratio of natural fats to maintain stable blood glucose levels and provide satiety.